As much as I love to bake, I don’t do it that often. 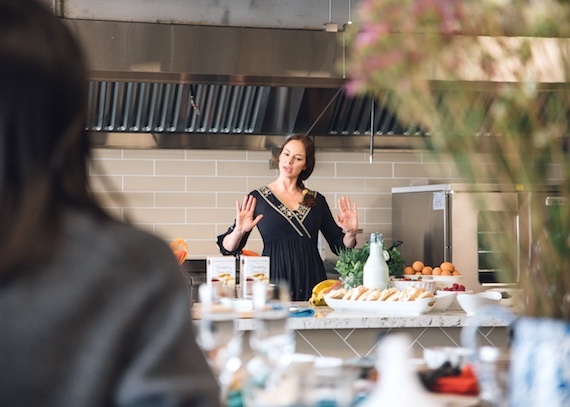 So when I got the opportunity to bake some delicious treats using products from Stonewall Kitchen, I immediately jumped at the chance. 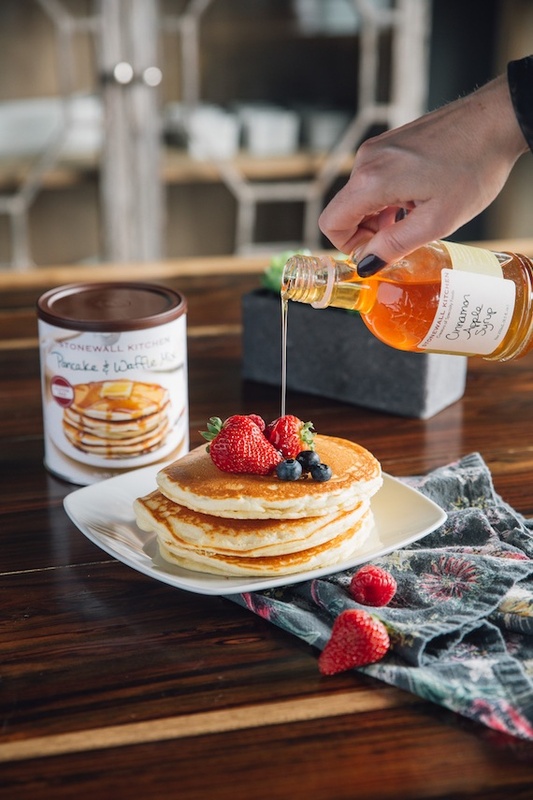 A speciality food producer based in York, Maine, Stonewall makes homemade jams, sauces, condiments and baking mixes, using natural, high-quality ingredients. 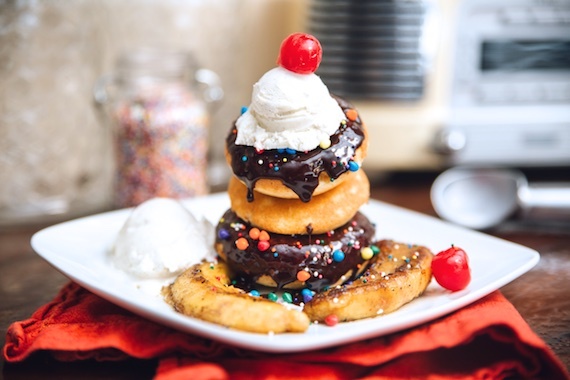 Hosted by Christine Tizzard, a chef, food stylist, and cookbook author, we spent the afternoon at Kitchen 24 baking goodies such as pancakes, mini donuts, waffles, and scones. 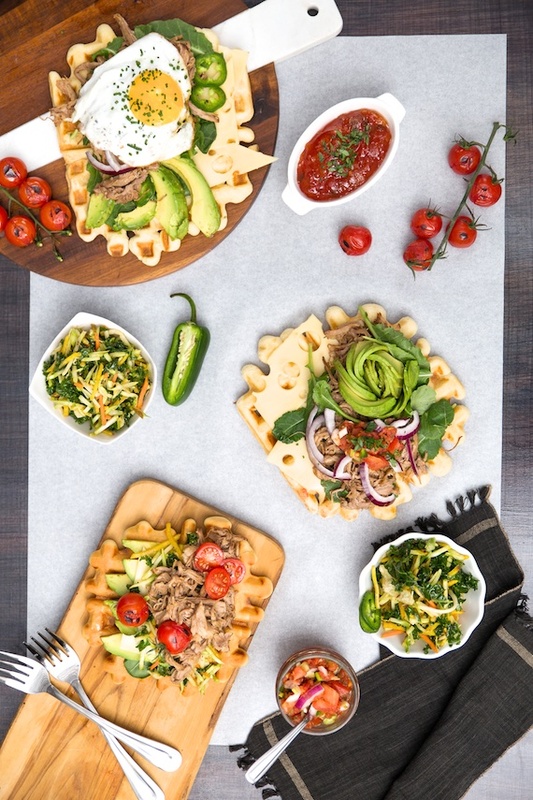 We made different versions of the baked goods, then put our food styling skills to the test by playing around with various props, dressing up the food, and making them look pretty. 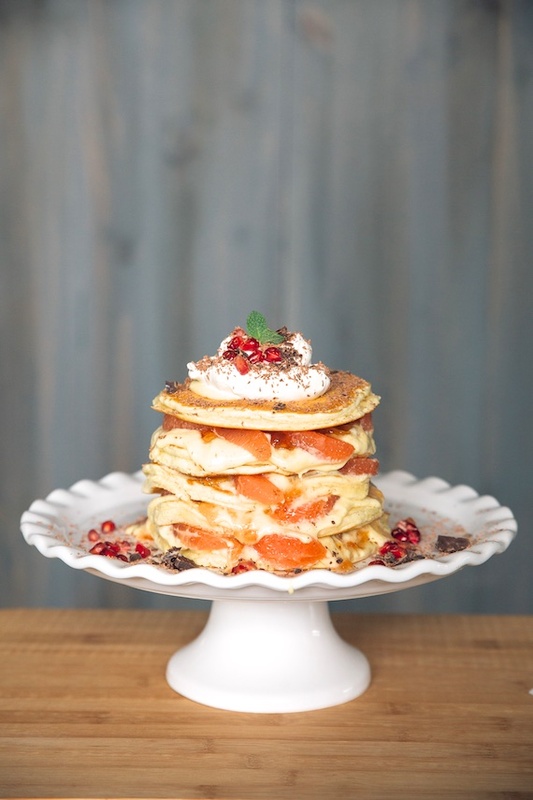 Food needs to look good for their close-up too. 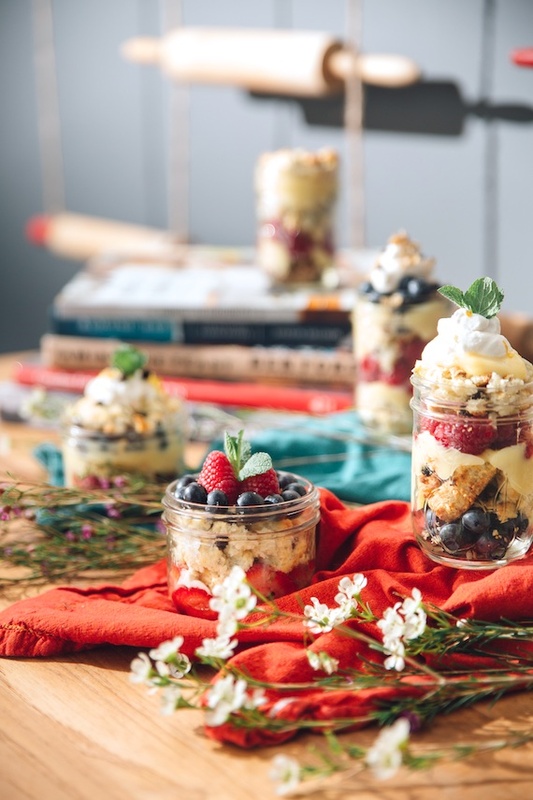 The products were incredibly easy to whip up and since they’re boxed mixes, they’re perfectly conveniently for those days when you want something homemade but just don’t feel like making it entirely from scratch. There’s no shame in taking a little shortcut, especially when the end result is still equally as good! They even have some gluten free options as well, like their cinnamon sugar donuts which when drizzled (or in my case doused) with their dulce de leche sauce, is absolute heaven. I left the class with my creativity fuelled and feeling inspired to bake more. 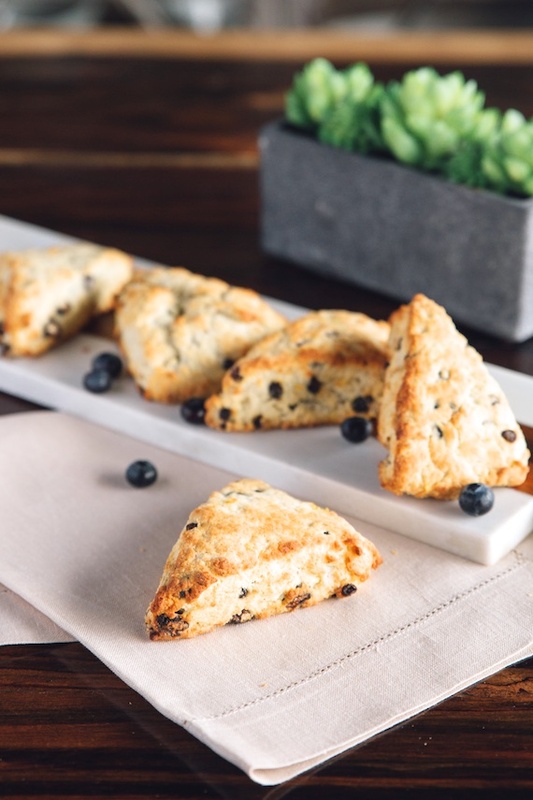 Good thing we received a little goody bag filled with Stonewall Kitchen baking mixes and jams -- I’ll definitely be whipping up a batch or two of their fluffy pancakes and blueberry scones when my sweet tooth strikes next (which is right about now). A vibrant, bustling city that seems to never sleep, Hong Kong is brimming with such dynamic culture. With so many places to eat, things to see, and places to shop, it can be daunting to know where to begin. Because my trip there was so last minute (I literally booked my flight one week before leaving), I didn’t get to do everything I wanted to. Although I’ve been to Hong Kong countless times, I’ve never been as a blogger/Instagrammer, which completely changes the game. 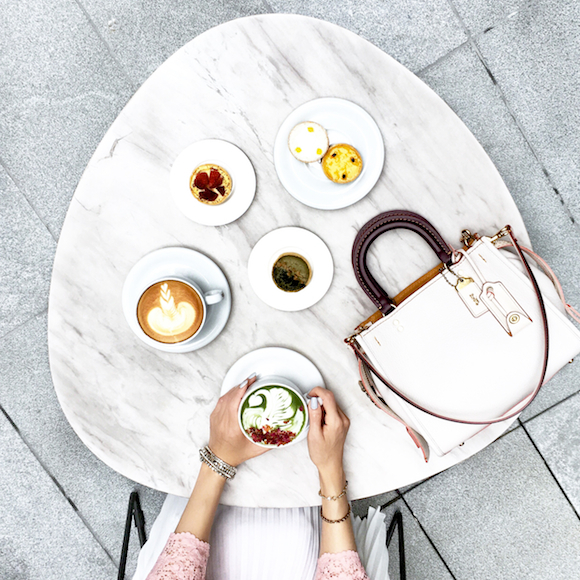 You seek out all the Instagram-worthy places and refuse to eat somewhere where the lighting is bad or the coffee doesn’t look good (true story). I’ve rounded up a list of places I went to during my trip and hope it inspires you visit HK if you haven’t already! You can’t visit Hong Kong without having dim sum (that’s like going to Italy and not having pizza). 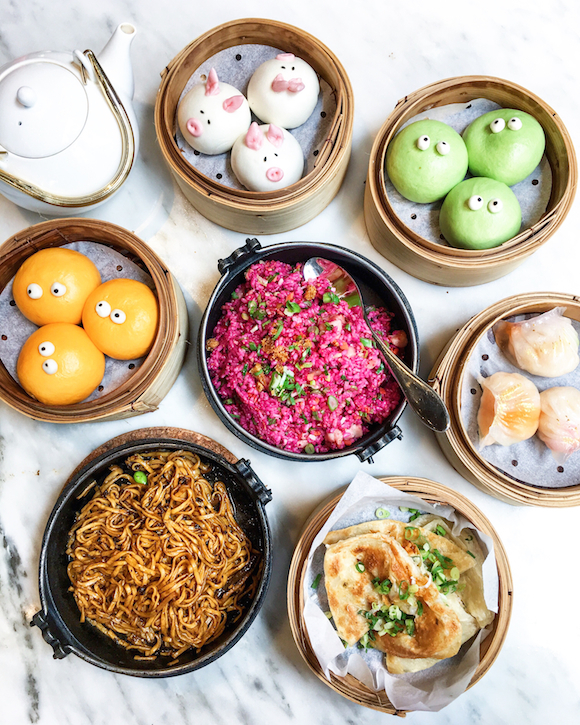 From adorable BBQ piggy buns, to hot custard buns, and green tea molten buns (that look like it’s vomiting when you take a bite), you won’t find cuter dim sum than at Yum Cha. It’s pricier than other dim sum places, but it’s definitely worth checking out at least once. 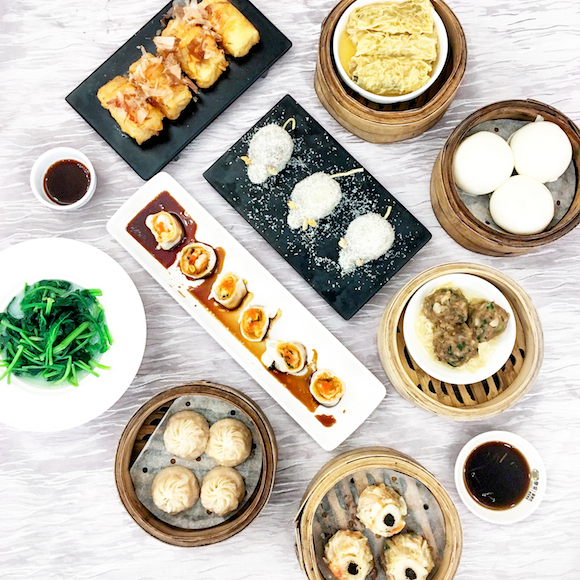 If you’re looking for dim sum that’s a little more traditional and affordable, U-Banquet is for you. Their dim sum may not have cute animal faces, but it makes up for that in taste. The lai wong bao here is my favourite, a steamed bun that’s filled with a gooey egg yolk filling that oozes out when you bite into it. I seem to have a thing for vomiting dim sum. I couldn’t go to Hong Kong without having my favourite meal -- brunch. 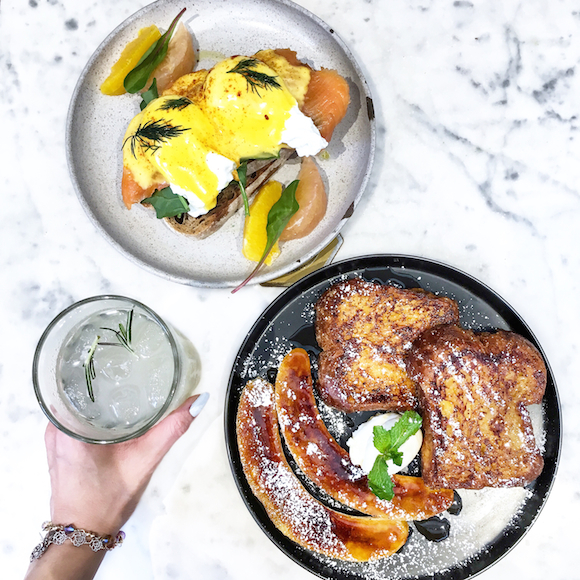 And the brunch at Cupping Room was the perfect brunch to kick off my trip with their brioche French toast and eggs benny with smoked salmon. For something cool and refreshing in the summer heat, try their rosemary lemonade. 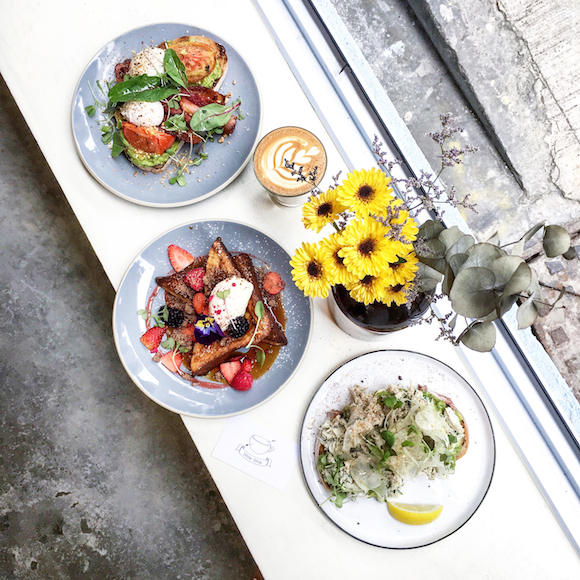 Another delicious brunch place to check out is Brew Bros Coffee (the one on Hill Road is supposedly nicer). 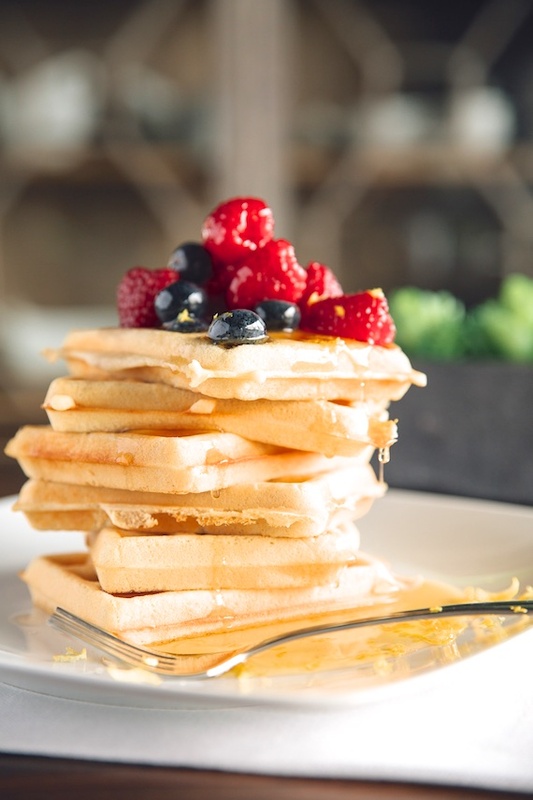 From the avocado toast topped with crab meat, to the beautifully presented French toast, everything was incredibly delicious and Instagrammable. Ironically, I had one of the best Italian meals in Hong Kong. 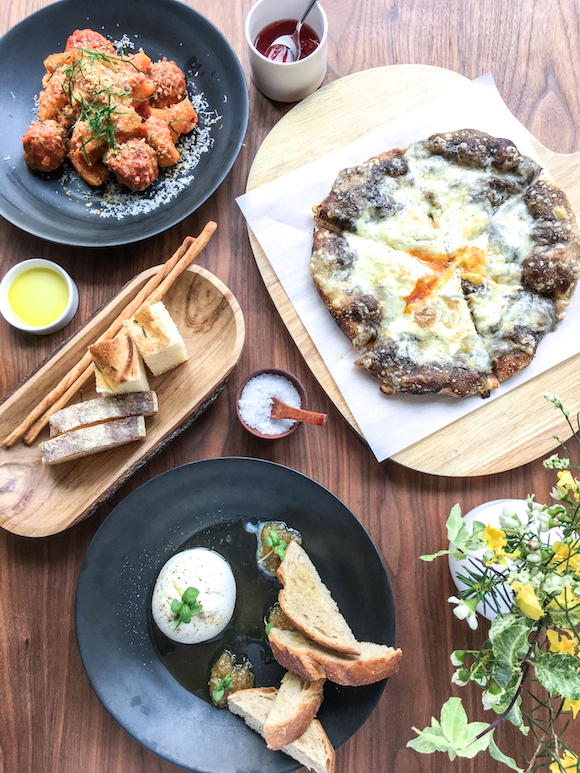 The pizza with black truffle, three cheeses, and farm egg is an absolute must, as well as the rigatoni and meatballs, and burrata. Everything was fresh and delectable -- it’s easily one of my favourite meals I had in HK. Although on the pricier side, Mercato is worth the price tag if you’re looking for a nice meal without the pretentiousness. 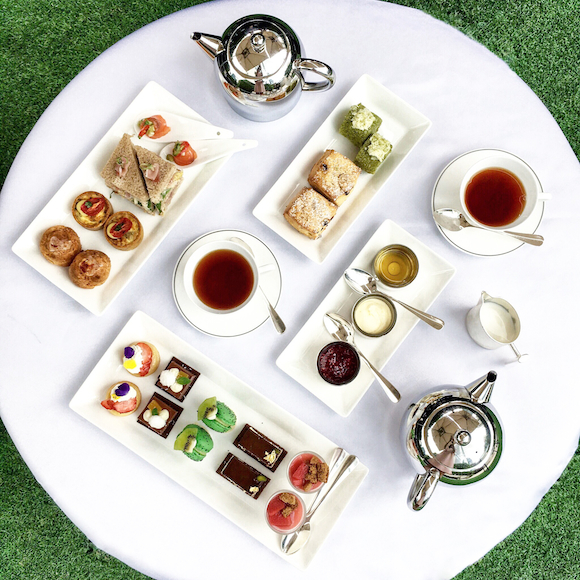 Afternoon tea is one of my favourite activities, and Hong Kong has a plethora of them (it belonged to the British colony after all). 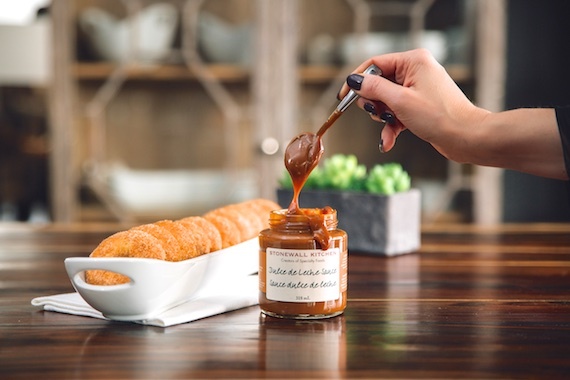 A luxury boutique hotel, The Upper House’s afternoon tea is not only beautiful but also equally as delicious. Ask for a table by the window -- there’s nothing like enjoying tea time with an incredible view overlooking Victoria Harbour. 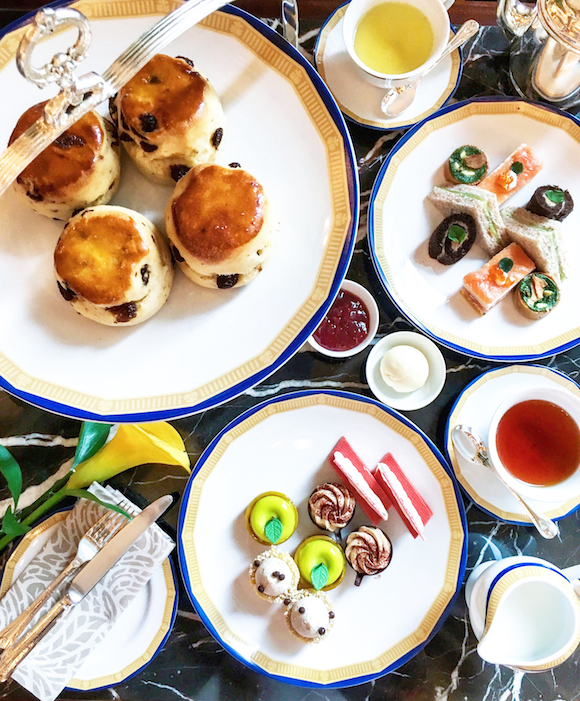 Hong Kong’s oldest hotel, The Peninsula is built on splendour and timeless elegance, and their infamous afternoon tea is no different. It’s so famous in fact, that there’s always a long line-up that circles around the lobby where the afternoon tea is held. And they don’t take reservations either so be sure to get there early! 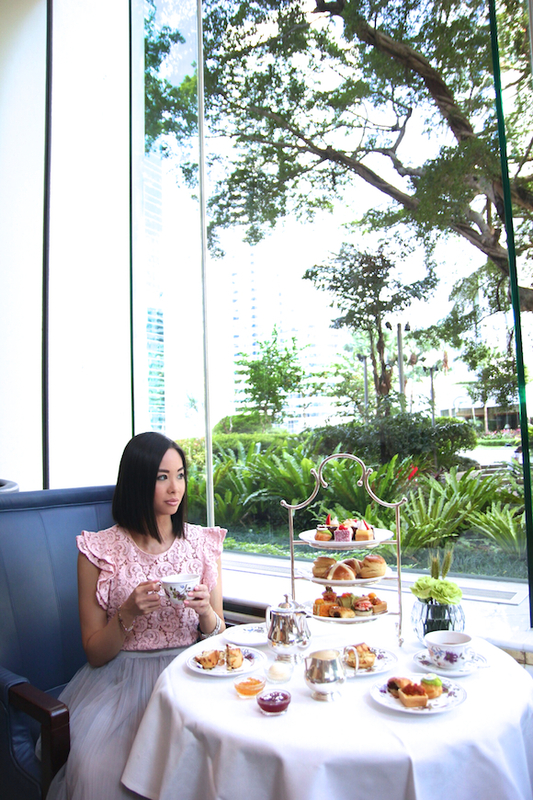 Located across from The Upper House, having afternoon tea at Island Shangri-La is a luxury indulgence. With a view of their tropical garden and a 140-year-old Banyan Tree, it’s a cozy oasis set in a grand, divine space. It was so hot and humid when I was in HK, I could’ve eaten ice cream every day during my stay (and kind of wish I had). 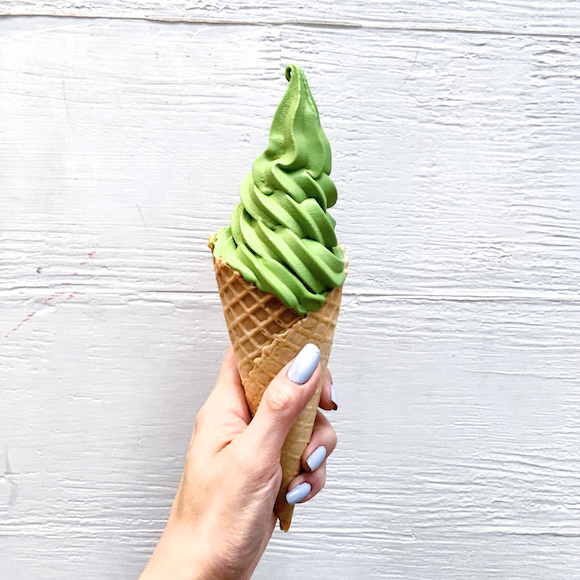 My favourite was probably Via Tokyo because three words: matcha soft serve. I had a few matcha ice creams in Hong Kong including I Cremeria, but I preferred Via Tokyo simply because it was a little less bitter. Another food you can’t miss if you’re in HK is an egg waffle ice cream. 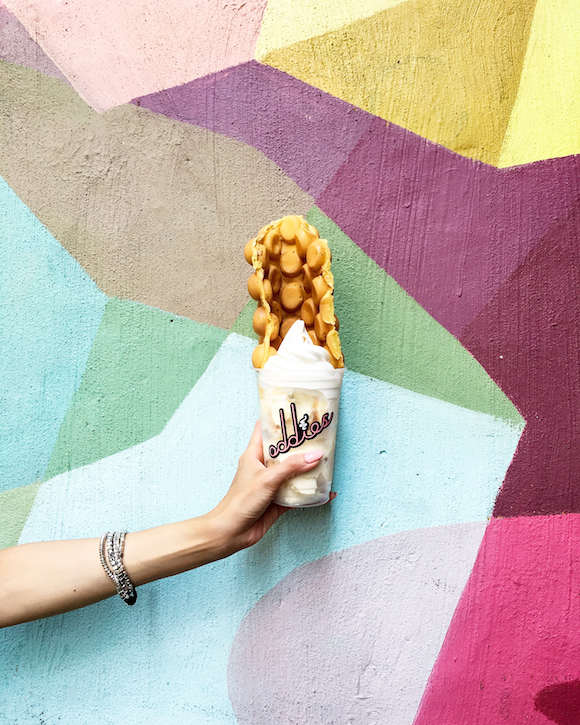 An iconic HK street food, the egg waffle makes for a tasty treat, especially at Oddies, where it's served with low-fat gelato and other sweet fixings. It’s a definite must try. Originating from London, Givres is an artisan gelato café that specializes in gelato in the shape of a rose. 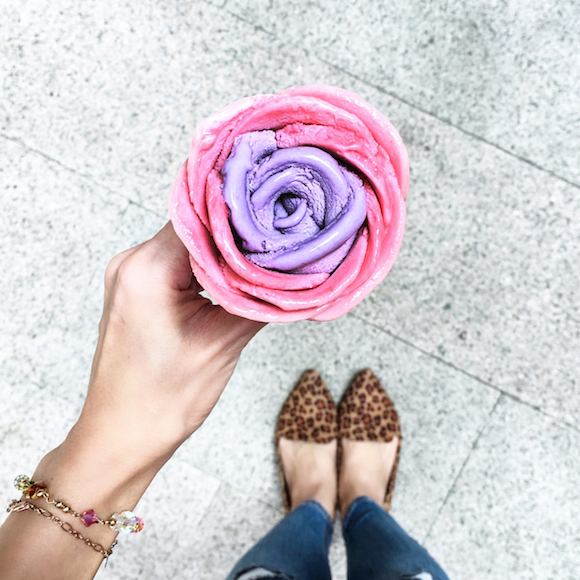 A work of art, the gelato rose is so pretty, you almost won’t want to eat it. But you have to. Because it’s melting. The lavender flavour was a favourite! If you want the prettiest matcha latte ever, come to Artisan Room. What makes it special is that it’s a rose matcha, made with a rose syrup and real rose petals scattered in the cup. Cute little desserts are also served and they have a quaint patio in the front. 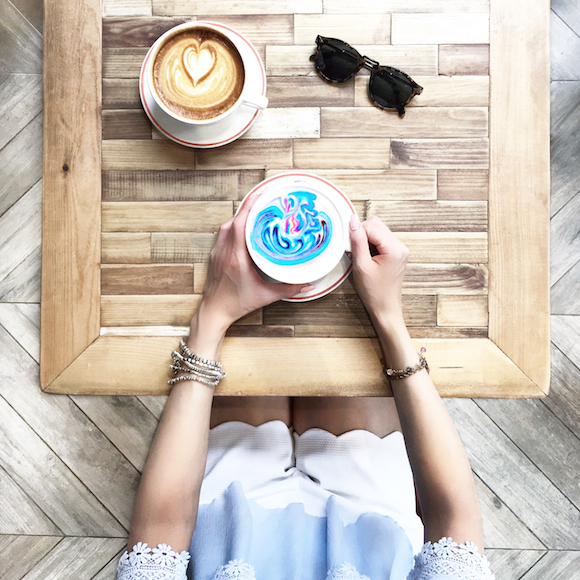 A popular café in HK, Elephant Grounds has several locations and serves pretty lattes, food, and ice cream sammies. Their rainbow latte seemed like a obvious choice, given how pretty and colourful it was, but it definitely looked better than it tasted. Made from steamed milk and white chocolate, it tasted like warm milk with just a hint of white chocolate, so I wouldn't recommend it unless you just want it for the gram. If you’re a matcha lover like me, run to Sinmei Tea. And I mean run. 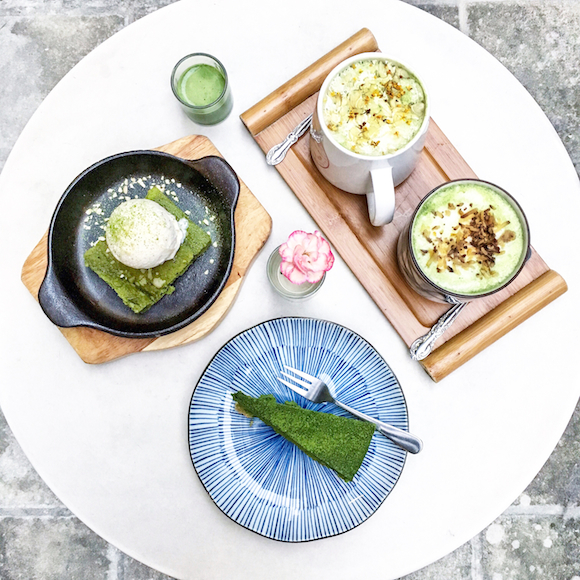 From various matcha drinks such as matcha hot chocolate and matcha latte with almond flakes and honey, it's a pure matcha party in your mouth. Their desserts are also not to be missed, including matcha cheesecake, sizzling matcha brownie with ice cream (my favourite! ), and matcha lava cake. A French verb meaning “to play”, Jouer is a lifestyle café that combines art and design with food and drinks. 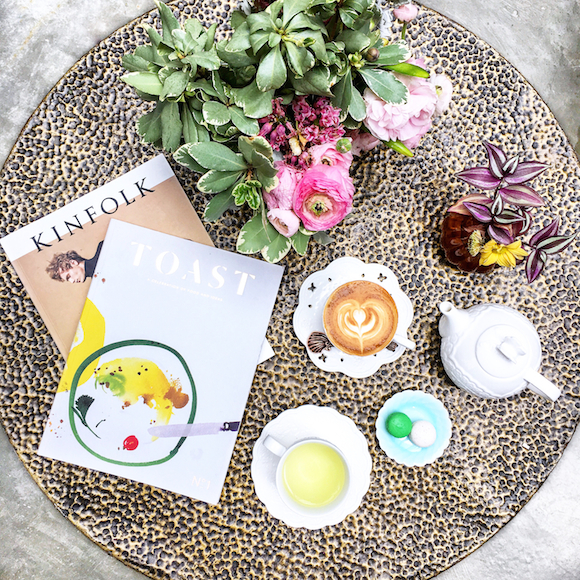 It’s also one of the prettiest cafes in HK, and they specialize in unique lattes, cakes, and mini macarons. 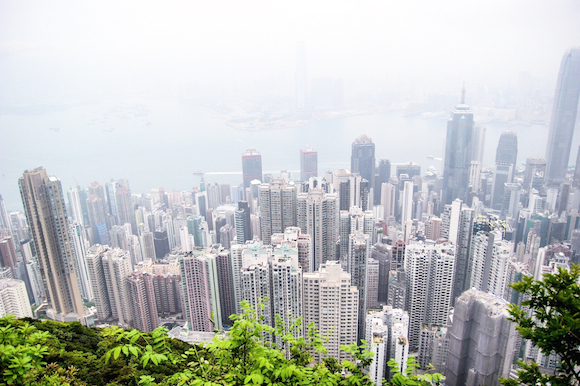 Of all the things to do in Hong Kong, The Peak undoubtedly tops the list. The highest point in HK, The Peak rises at 1,805 feet above sea level and has been the city’s most exclusive neighborhood since colonial times. It boasts the most spectacular views of Victoria Harbour, Kowloon, and the Hong Kong skyline with its sprawling skyscrapers. Tip: check the weather before you go and choose a nice sunny day. I went on a day where it was super foggy and the photo below was the only decent one I could capture. A 200 metre long tree-lined walkway in Wan Chai, Lee Tung Avenue is a charming and quaint area filled with shops and gourmet restaurants. 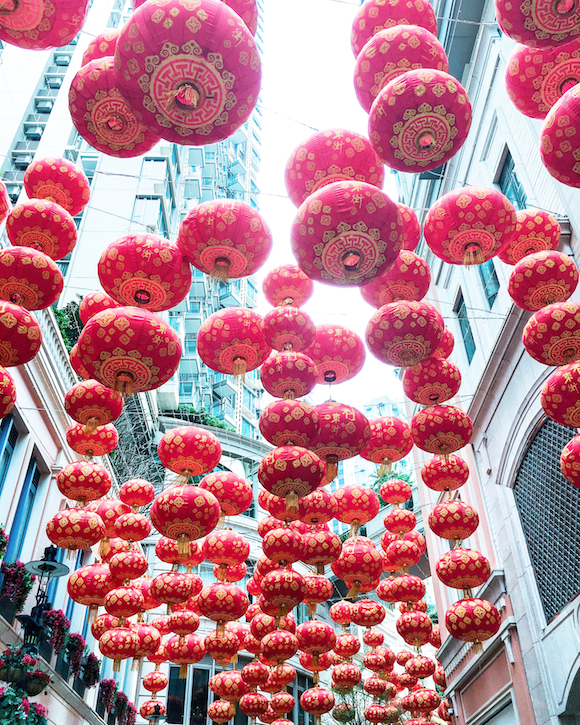 Stroll down the walkway and take in the magical red lanterns hanging above. Givres gelato is also located here. With a name like Instagram Pier, you know it’s gotta be Instagram-worthy. Located on the waterfront of Sai Wan, the pier is a popular spot to shoot, with picturesque views of Victoria Harbour and the skyline. Other notable mentions include the Ladies’ Market on Tung Choi Street, where you’ll find more than 100 stalls of cheap clothes, accessories, and souvenirs, Lan Kwai Fong for drinking and clubbing, and a day trip to Macau, aka the Vegas of China, known for its casinos and luxury hotels. Although I've been to Hong Kong many times, this recent trip has opened my eyes to places I've never been and meeting new people that share the same interests. I hope to be able to add more things to this list on my next visit and embrace even more of what this diverse city has to offer. My recent trip to Hong Kong was an unexpected and bittersweet one. It was time to say hello to some, and time to bid farewell to others. In between my many, many food adventures and family time, I tried to get in some photo shoots, but if you’ve ever been to HK you know how tricky it is. It’s ridiculously congested with people and buildings, which makes it almost impossible to shoot. Trying to find a nice, open space with a clean and minimal backdrop is like trying to find a white guy in a sea of Asians in HK. So when I saw this secluded space at The Upper House hotel, I knew a photo shoot had to take place. 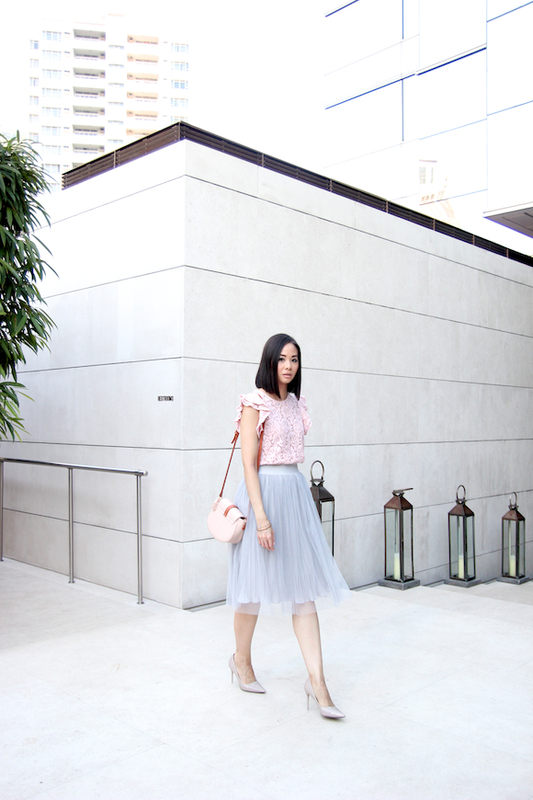 Except for the top (which is from Zara last year), I got my entire outfit in HK for under $150. That’s one of the best things I love about Hong Kong -- finding fabulous clothes for a fraction of the price that you would get here. Now that’s something to twirl for. All I want for Christmas is…Nick Carter. Ok fine, something more realistic? 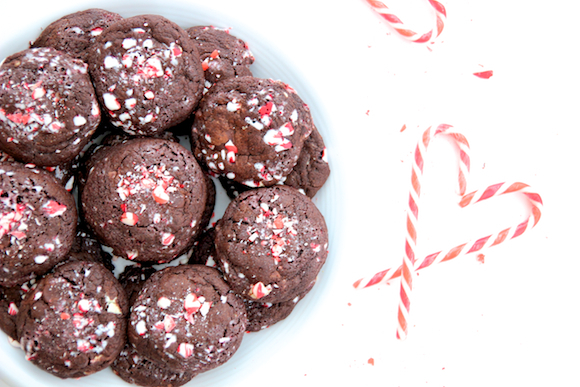 I’ll settle for some gooey chocolate peppermint crunch cookies then. It’s Christmas Eve eve, so naturally I’ve been baking up quite a storm. Chocolate and peppermint go hand in hand during the holidays, kind of like how Nick and I go hand in hand but that’s another story. 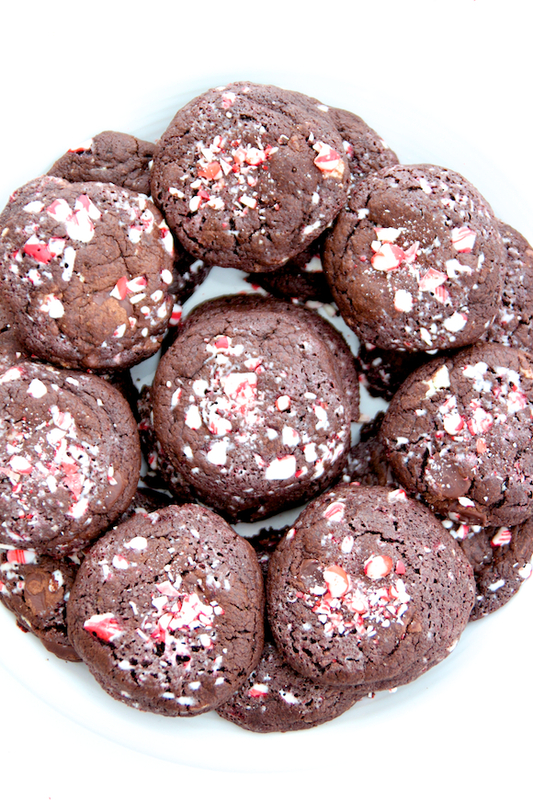 I whipped up the ultimate chocolate peppermint cookies, and cannot stop stuffing my face with them. 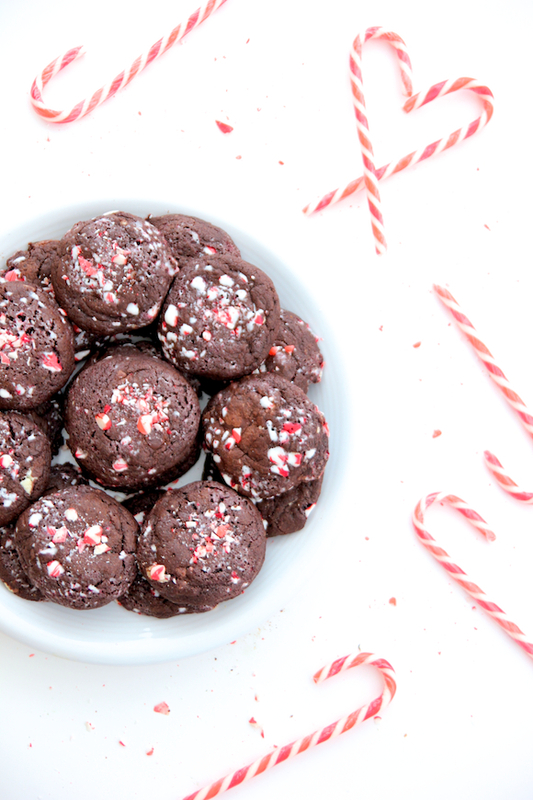 Soft and chewy, each bite is filled with the richness of dark chocolate intertwined with the crunchiness of peppermint pieces, and candy candy pieces. These are the perfect holiday cookies to snuggle up with on Christmas morning, with a cup of coffee, tea, or even some hot chocolate. Christmas coziness. Preheat the over to 350F. Line a baking sheet with parchment paper and set aside. In a medium bowl, whisk flour, baking soda, salt, and cocoa together. Set aside. 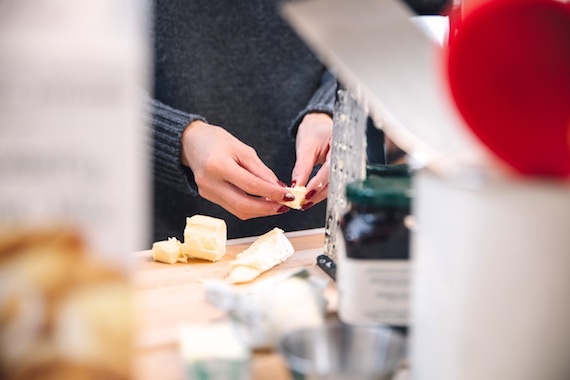 Using a mixer, cream the butter and sugar together until smooth. Add the eggs, one at a time and beat together. Add the vanilla and peppermint extract and mix until just combined. Gradually add the flour mixture in and beat until just combined. Do not over mix. 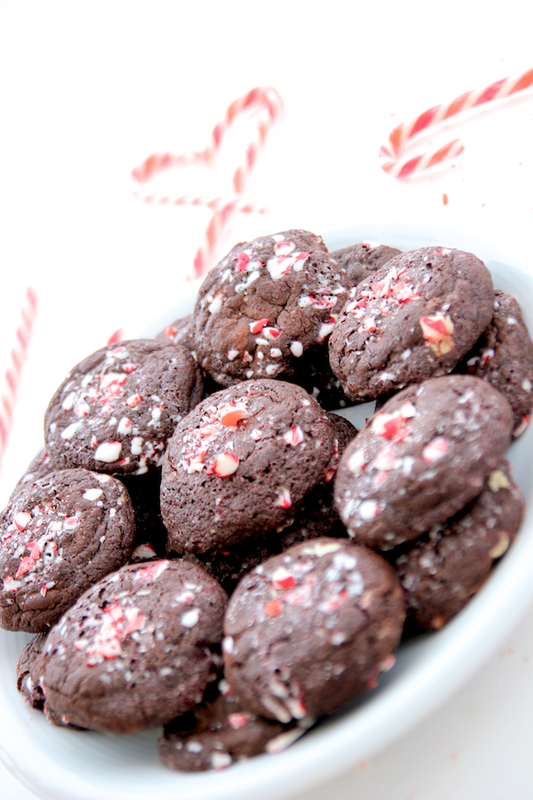 Stir in the chocolate chips and peppermint bark pieces. Place the crushed candy canes in a small bowl. If you don't have crushed candy canes, place 6 or 7 candy canes on a cutting board, wrap them in plastic wrap, and bang on them using a rolling pin until crushed. Using a spoon or ice cream scoop, scoop a large tablespoon size dough and roll into a ball. Roll the dough in the crushed candy canes until lightly coated and place the cookies on the baking sheet, about 2 inches apart. 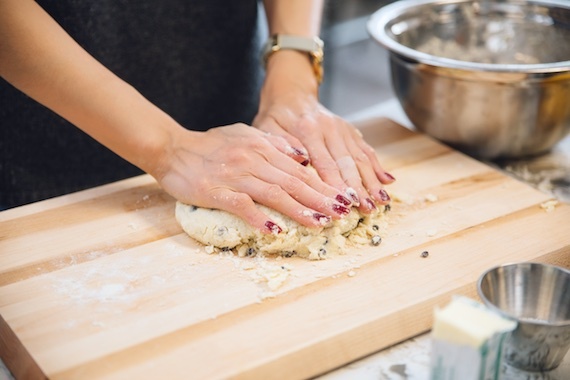 Bake the cookies for 10 minutes (do not over bake), then remove from oven and let sit on the baking sheet for 3 minutes before transferring them to a cooling rack to cool completely. I never thought I’d be a fan of velvet. Since last wearing it in the 90s in probably some ugly form of a dress that my mother forced upon me, I was glad when the trend faded away and I never had to lay eyes on it again. That is, until now. Velvet has made a huge comeback this season, and this time around, I am surprisingly all over it. The hideous, granny like velvet that I remember has been replaced by a more elegant, stylish version and I just can’t get enough. This Zara dress is my first foray into velvet again and is the perfect crushed velvet attire. The dark pink colour is so beautifully multifaceted and makes for a great holiday look. Unfortunately, this colour is no longer available; however, there is a lovely mustard version that's still available. Oh velvet, I am simply crushing on you and I apologize for all my years of disdain. You now have a place in my heart.